My Elijah. Sometimes I can’t believe I landed such an amazing son. 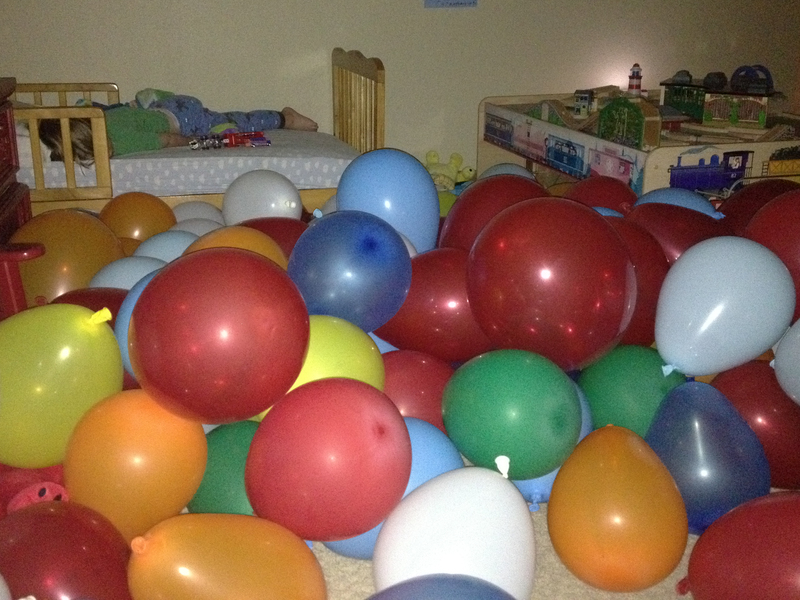 For his third birthday we decided to fill his room with balloons while he was sleeping. It was a huge hit, and I hope to make this a tradition in our family. 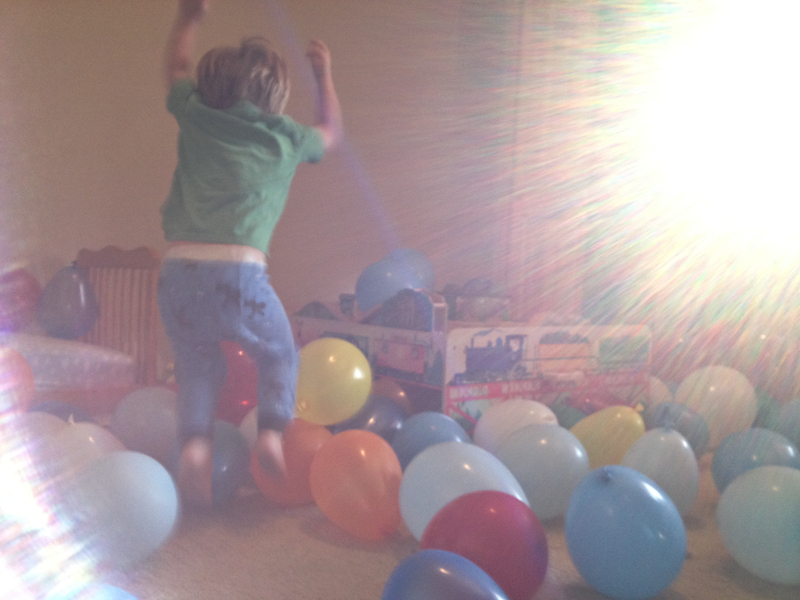 Once he was asleep for the night, we put in a movie and started blowing up balloons. We had over 100 balloons, and I’m not sure how we were still breathing when we were done! Confession: I usually never wake up before my kids. This had to be an exception, because I couldn’t wait to see his reaction. Isn’t that just the sweetest reaction thing ever? Sooo worth dragging myself out of bed early. On Elijah’s 3rd birthday David was only 7 months and still demanded a lot of my attention. The balloons secured this day as Elijah’s Day. And it was… we celebrated that sweet kid in a big way! Pardon the blurry iPhone pics… this was during my year of not really taking pictures… more on that later. Awesome! I’m sure he must have been so happy and felt so special and loved. What a great idea!